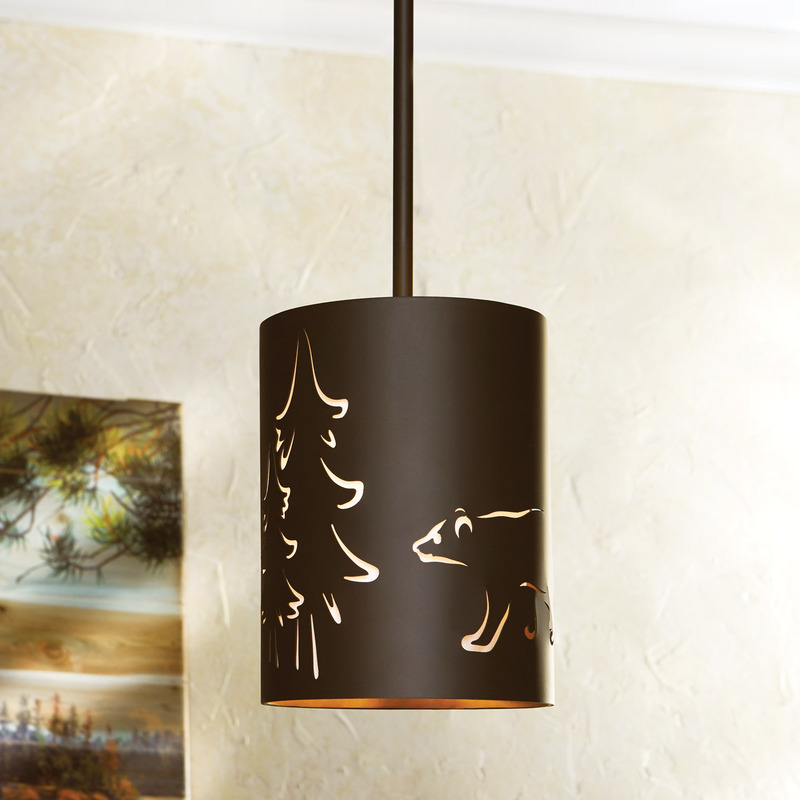 A Black Forest Decor Exclusive - An inner brass gold finish highlights cut-out bears and trees on this bronze-finished metal fixture, creating a warm and inviting glow. 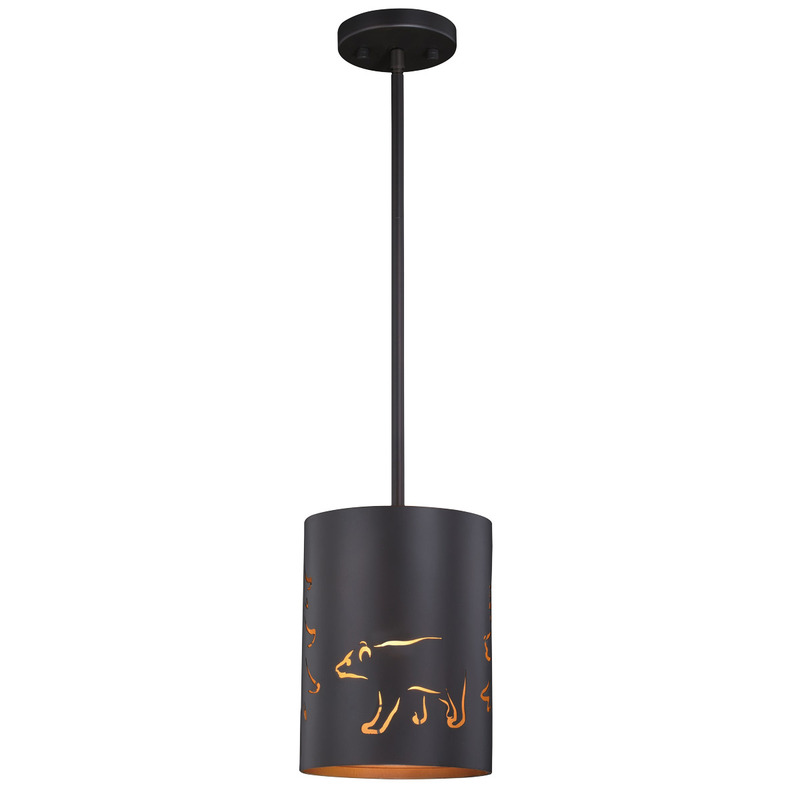 Uses one 60-watt max bulb; 7"Dia. x 9 1/4"H.